There are many aspects to consider when developing a retail security strategy, including loss prevention, physical security, asset protection, risk management, and IT. All of these areas could be the responsibility of just a few people working to secure a handful of stores or each of these areas could be entirely separate departments, as is often the case for major retailers with locations throughout the country. Regardless of the size of the retailer, there are many different technologies that can be used within a retail store to improve security and loss prevention, yet none should be used in a silo. 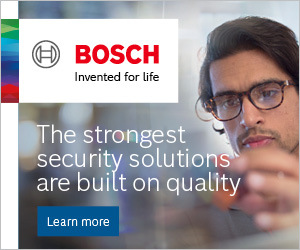 There are tremendous benefits to integrating security technologies and communications systems together, including enhancing overall safety and security, reducing shrink, and improving operations. As the existing security infrastructure is evaluated and plans for the future are developed, the team responsible should consider some of the following questions. Are there areas of the store that require greater security? Are there notifications or other technologies that could improve the efficiency of personnel and the safety of shoppers? Are there other departments within the organization that could benefit from the data gathered by the security technology? Understanding current pain points within the stores and how integrated security solutions can address these is the key to implementing the best solution. Here are a few “hot spots” within a typical retail store that easily demonstrate the power of integrated solutions. Whether it’s loss through sweet hearting or other fraud, point of sale terminals present a significant shrink risk for retailers. 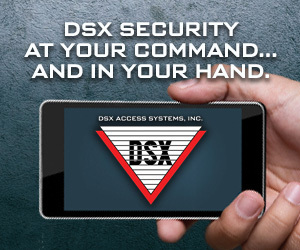 Integrated systems enhance security at these locations. Video recording of HD or megapixel cameras integrated with point of sale data makes it easy to locate video associated with transactions and exception reporting. This allows for visual verification of each transaction when needed. Other risks like robbery not only result in loss, but also impact the safety of employees and shoppers alike. Panic buttons or bill trap sensors connected to the intrusion detection system ensure silent alarms are issued when employees are at risk. When the intrusion detection system is integrated with the video system, pressing a panic button or pulling the bill from the sensor can automatically trigger a video snapshot to be sent to the monitoring station to provide verification of the alarm and more information for law enforcement when they are dispatched. Protect high-value or frequently-stolen items, such as electronics, using video analytics integrated with audio communications. For example, a person standing at a display for longer than a pre-defined time or touching items on display can trigger a video snapshot to be sent to the store manager and an audio message to play through a nearby loudspeaker, such as: “Thank you for your interest in our smartphone selection; an associate will be there soon to assist you.” This not only alerts potential offenders that their actions are being watched, it also serves to improve customer service for legitimate shoppers – as a retail floor associate is notified that a customer may need assistance. An access control reader at the door to the cash office restricts access to only authorized individuals. Integrating video can automatically capture an image of the person requesting access for verifying an employee’s identification prior to granting access or for retrospective analysis in the event of a theft. 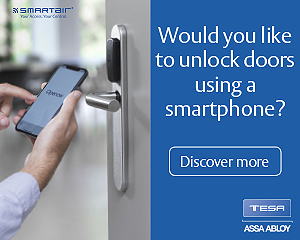 If an employee props open a back door – either for easy re-entry after a break or to allow access to another person with intentions of theft – integration of the intrusion detection system to the video and audio system can significantly reduce risk of loss. For example, the intrusion detection system can monitor doors for abnormal conditions, even when the system is disarmed. A door left open for longer than a pre-defined time can cause an alarm on the intrusion panel, which can trigger a nearby camera to send a snapshot of the open door to the store manager and trigger the public address system to play a pre-recorded message through a nearby speaker. This prompts the employee to close the door, reducing risk of theft. While the technology solutions described above positively impact loss prevention in a retail store, they can also extend beyond security to improve health and safety, and enhance customer service as well as customer engagement and sales. For example, while securing a store’s main entrance with IP cameras featuring on-board video analytics, retailers can use the metadata from the cameras to gather business statistics like counts of people entering the store. This data can help them understand peak days and times when making decisions about staffing. Or while providing surveillance of the cash register area, the camera's video analytics can also be used to trigger an alert in case the number of people in a queue exceeds the pre-defined threshold. At this point, the same public address system and loudspeakers used to play background music to enhance the shopping experience could be activated to broadcast a message to request another cash register to be opened, improving store operations. Metadata generated by the cameras can also be used to gather information that when processed with sophisticated algorithms in the cloud can show trajectories of the paths that shoppers take as they travel throughout a store as well as heat maps indicating where they walk, stop and dwell – all while protecting the privacy of individual shoppers. This information can be used by merchandisers to evaluate the success of displays and store layouts, which directly impacts customer engagement and sales. Integration is becoming easier through the use of standards and expanding industry partnerships. However, in some cases, choosing systems from a single vendor that are designed to work together can help to speed and simplify installation, while also reducing system costs for both the integrator and the user. Regardless of the products chosen, it will be important for a retailer with many locations to have consistency in the type of equipment installed at each site. This makes support easier and enables a more uniform response to incidents that happen at various stores.